I fight first and foremost for myself because I deserve to enjoy a life freely, but I equally fight for my husband and my kids. I put all my effort in making sure I don't pass my anxieties onto them, and I'm happy and grateful I'm one step closer to healing. In the weeks leading up to our California trip, something wasn't right. I had had two panic attacks in three days during which I tried convincing Tim I needed to go to the ER (we've been a handful of times for panic attacks, so he knows how to handle the situation). My chest seemed to be in a constant state of tightness which deceived me into thinking I was always on the edge of a heart attack, I was winded easily, my heart went through bouts of racing, I was exhausted all the time, and irritable. It felt like my mind had been throwing me around, it was outracing me. And it didn't matter what I did to catch up, I was coming in second. A few days before our trip to San Diego, I sat on the couch, head in my hands, thinking I'll do anything, anything not to feel this way. And at that moment I knew I'd go to my follow up doctor's appointment after we got back from our trip and ask for a medication for my anxiety. For me, looking into a medication isn't an easy decision. There can be side effects, the medicine might not be the right one, the dosage often needs tweaking. A prescription meant traveling down another daunting path that wasn't guaranteed to bring solutions and peace. But after reaching that I'll do anything moment, and realizing my anxiety went from crippling to paralyzing, I knew it was the right thing to do. My anxiety had taken over my mind and body and was seeping into my marriage and therefore, my kids. It was time to acknowledge I needed more help than I was able to give myself. I went to the doctor in a similar state that I did when I first walked out of the doctor's with a prescription for anxiety about a year and a half ago - discouraged, defeated, but hopeful and, somewhere in the back of mind, determined. In some past appointments, I've sugarcoated my symptoms, my current state, which isn't a good idea, I know. But talking about mental health with anyone is hard. And I as candid as I try to be in these posts, it isn't easy to admit how capable my anxiety is of taking over my whole being. But in this appointment, I put any embarrassment aside and let honesty reign in telling him my mind was losing control and I didn't know what to do anymore to get back in control. Telling me my anxiety sounds a bit more biological and less situational, he handed me a medicine and assured me my body would begin to feel better, that my body was out of sorts and hurting because my "control center" was so out of sorts. When I began to feel the effects of the medicine, I thought, is this what normal feels like? No trembling with fear while walking through the grocery store? No wanting to shrivel during every social interaction? No feeling of racing uphill through the day? Irritability down? Happy? Energy up? No chest pain, stomach in knots? No questioning every little thing? My mind began to feel calm and at rest. And I so wish I could adequately describe what that felt like. 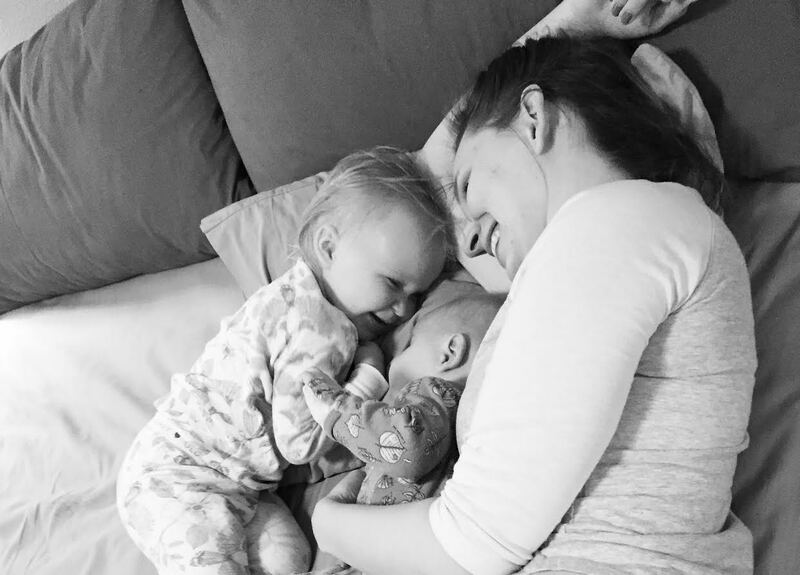 My husband told me I smiled more and I noted that I cuddled my kids more. I began to notice such a change I couldn't help but to look back and question. If I had found this doctor who recommended this medicine years ago, would I have better performed at school, at work? Would some friendships that fizzled out still be strong? What opportunites would I have said 'yes' to that I instead turned down? Knowing that kind of questioning leads no where and acknowledging the past is in the past, I leered myself away from that road but I couldn't help but to be sad for all the times my anxiety took control. My path to healing seems to have become a bit clearer, but the work isn't over and all uncertainty hasn't faded. It's been proven that overcoming anxiety is most successful when a treatment plan involves therapy and a medication. So a fourth therapist is likely to be in my future, workouts are still a must, a balance of social life and work is needed. A medicine is an aid to a big picture treatment plan. But for now, to say I'm grateful for feeling this peace is the understatement of my life. To know that I've walked through life feeling a way I didn't need to be feeling is near crushing and heartbreaking. And if I've learned one thing in recent months, it's sometimes the brain needs help, real help. I'm not advocating for anyone who suffers from anxiety to jump on a medication. Sometimes, it is as simple as incorporating a regimented workout plan into your routine to keep your anxiety at bay, but sometimes we need more. And I'm beyond grateful to have found my 'more' that will aid me along in my healing and will allow me to live freely in the process. Thank you for sharing your journey. I know that reading your posts makes me feel comforted that I am not alone. I feel like there is a lot of ignorance in the Catholic circles so it's easy to feel the need to hide it. Thanks so much for the comment, Lety. I know I felt alone when I first began needing to seriously address my anxiety and depression, so I wanted to share the journey. I looked to Catholic forums and articles for encouragement, but I was discouraged by what I found. You're right, there's a lot of ignorance surrounding the issue. We shouldn't feel like we have to hide it. I'm so happy to hear you feel less alone by reading, you most certainly aren't alone - we're in this together! You have my prayers, Lety!